I started writing about vegan cosmetics 10 years ago. I have always been into makeup and when I made the switch from vegetarian to vegan, I had to replace some of my cosmetics due to bee products. The hardest part was finding a beeswax free mascara, the only one on the market that was easy to get was a mascara by Origins - in fact a lot of my cosmetics came from Origins. Since those days the market has expanded with not only more mascaras but lots of new cruelty free options. Not satisfied with the makeup I had I started doing research. I contacted companies through emails, calling them and reading a lot of labels. When new products hit the market I go through this process again. Right now the biggest source of vegan cosmetic knowledge is Cruelty Free Face . I added some information on the site and point people there weekly. Some tips about buying cosmetics that are vegan: educate yourself, take a list of the companies and colors you want, read labels and don't trust associates that are clueless. I went to Sephora over the weekend to pick up some new shadows, everything I wanted off my list was not in stock - boo hoo. The sales associate pointed me to companies stating that they were vegan, they had vegan products - sure but not everything was vegan...She was baffled about how some things were vegan and some were not. Since I get asked about what my fave cosmetic products are I decided to list a few. 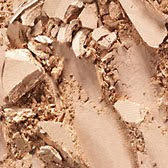 Ricepaper eyeshadow by MAC Cosmetics is a shadow I use everyday, I have to go buy another one, it is almost gone. It is shimmery but not obnoxious and the perfect high light or inner corner color to brighten things up. Yeyo 24/7 Glide-On eyeliner by Urban Decay is a liner I use daily as a base color for the inner corner of my eye, I like to apply Ricepaper over it and it just looks really nice and I look awake! 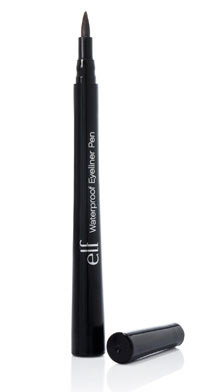 E.L.F.Cosmetic's Waterproof Eyeliner Pen (in black): I buy these in bulk! These $1 bargins are so awesome - they stay put and the black is so inky and smooth! Hi i saw your list of mac products that are vegan. I was wondering if you knew if any of the mascaras and eyeliners were? The list is updated with the products on the site. You can always look at the ingredients book at the counter or product packaging. Oh the list that I saw said only stated that some of the liners very vegan, but didn't say wich ones exactly. The book idea is out for me since there isn't a MAC store nearby. Thanks, I'll figure it out.